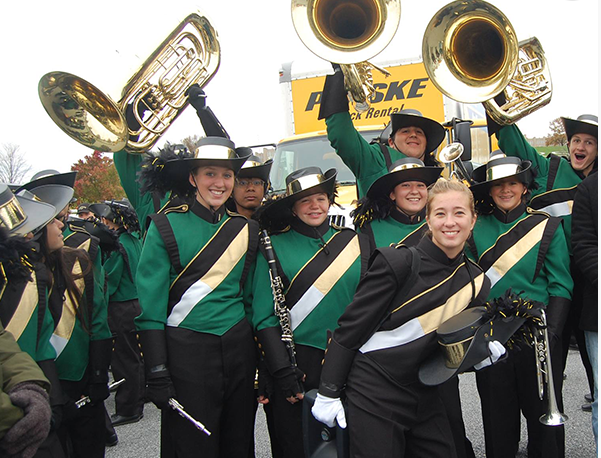 The Brick Township council this week will consider continuing its policy of excepting the marching bands at the township’s two high schools from a noise ordinance. The issue of the band inadvertently violating the ordinance came to a head last fall, when residents who live near Brick Memorial High School called police to complain about the volume level of the band’s outdoor practices. The outdoor practice, technically, was a violation which forced police to shut down the practice. Soon after, former superintendent Walter Uszenski and police worked out an agreement with the neighbors under which the band would alternate locations for their practices in different areas of the high schools grounds so the sound would not be directed in one constant direction. There were also some compromises on the hours that practices would be held. The township council, the following week, voted to except the band from the noise ordinance for specific practice times. In November, months after the agreement was forged, neighbors again called police, who were forced to shut down band practice since it began at 9:30 a.m. on a Sunday morning when the ordinance exception began at 12 noon. This week, the council will vote on whether to continue its policy of excepting both high school bands from the noise ordinance on days when practices, competitions and similar events are held. “The resolution sets forth very specific dates and times that were provided by the Board of Education,” said Township Attorney Kevin Starkey, of the initial measure passed by the council to suspend the ordinance. The identity of the neighbor or neighbors who have complained have not been publicly released, but Uszenski, at the time, said the people who called have long had an issue with the volume level of the band’s practices. The meeting where the noise ordinance suspension will be considered will be held Tuesday at 7 p.m. at the township municipal complex on Chambers Bridge Road.